SD card problems are some of the reasons to make your GoPro does not work properly, and it is necessary to format it in such cases. There are two ways to do it, using the interface of the camera itself or the computer. 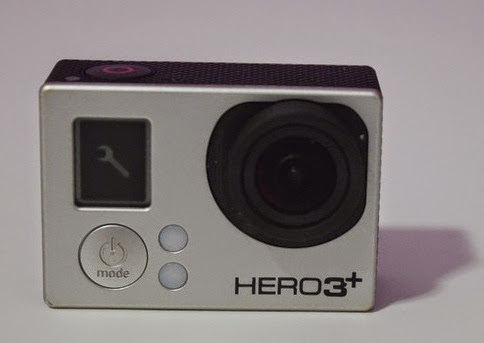 The DTG Reviews prepared a tutorial to guide you how to reformat SD cards for GoPro. Format direct microSD card GoPro is very simple. During our tests we used the HERO camera 3+ Black Edition, but the same procedure is repeated in 2 models HERO and HERO 4. Step 1. Turn on the camera with SD card inserted. Step 2. Press the front (Power) button repeatedly until the wrench icon on the screen. Step 3. Press the button on top of the camera (Shutter) only once. Step 4. Press the front button repeatedly until you see the trash and then the top button to select the icon. Step 5. Press the power (front) button until "ALL / Format" be highlighted and select it with the shutter (top). Step 6. Press the power (front) to "YES" to be highlighted. The camera LED and the trash can icon will flash to indicate that the card is reformatted. Step 7. Ready. To make sure that the procedure worked, turn the camera off and on again. The file counter should show 00. After that, take a picture to confirm that your card has been reformatted successfully. Step 1. Connect your computer to the SD card connector, click "Start" and select "Computer." Step 2. Right-click on your card in the "Devices with Removable Storage" and select "Format". Step 3. With the open formatting tab, verify that the file system is selected correctly. It should be set to FAT32 for SD cards of 32 GB and 64 GB EXFAT to them. After that, choose "Quick Format" and click "Start". Ready, your card will be reformatted. To make sure that the format was successful, take a picture for testing. Step 1. Turn on your Mac, insert the SD card with a connector and open the "Disk Utility". Step 2. Locate your SD card on the left of the window lard. Likely to be identified as "No Name" or "Untitled". Rename it to whatever you prefer. Step 3. Select the "Format" menu. Select "MS-DOS (FAT)" if the card is 32 GB or less, and "ExFAT" if the card is 64GB. Step 4. Click the "Delete". Step 5. A message appears on the screen asking you to confirm the operation. Click "Delete" and ready, your SD card will be reformatted. Ready! Now you know the different ways of how to format the SD card from your GoPro.